It is widely assumed that a competitive political environment of public distrust and critical media forces political parties to manage communications and reputations strategically, but is this really true? Comprehensive control of communications in a fast-moving political and media setting isoften upset by events outside the communicator’s control, taking over the news agenda andchanging the political narrative. Based on interviews with leading communicators and journalists, this book explores the tensions between a planned, strategic communications approach and a reactive, tactical one. The interviewees, who over the past 15 years have been instrumental in presenting and shaping the public persona of party leaders and Prime Ministers, include, amongst others, William Hague, Ian Duncan-Smith, Michael Howard, David Cameron, Tony Blair and Gordon Brown.It draws a unique picture of how political reputations are managed and, ultimately, confirms the discrepancy between what political communications management is thought to be, and how communications practitioners actually operate. 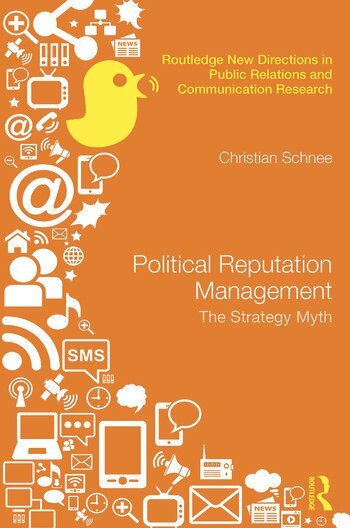 This book empirically reviews political communications practice in order to analyse to what degree reality matches the concepts of strategic communications management. This will be essential reading for researchers, educators and advanced students in public relations, communications studies and marketing. Christian Schnee has been Senior Lecturer in PR at the University of Worcester, UK since 2008. He began his career as a spokesperson for the Christian Democratic Party in Germany and served as director of government communications in the city state of Hamburg. Between 2005 and 2006 he was head of international media relations for the 2006 FIFA Football World Cup Office in Hamburg. His degree is in History and Political Science, and his PhD is in Political Marketing. This book is based upon his thesis. He regularly works for the Konrad Adenauer Foundation, Europe’s largest centre-right political think tank, based in Berlin, with offices in 80 countries. The author is invited each year by the Foundation to talk about political PR at professional conferences and seminars to audiences of students, politicians and various professional groups.